Where relief from poor drainage, root break through layering, and grass needs re-invigorating by using more nutrients. 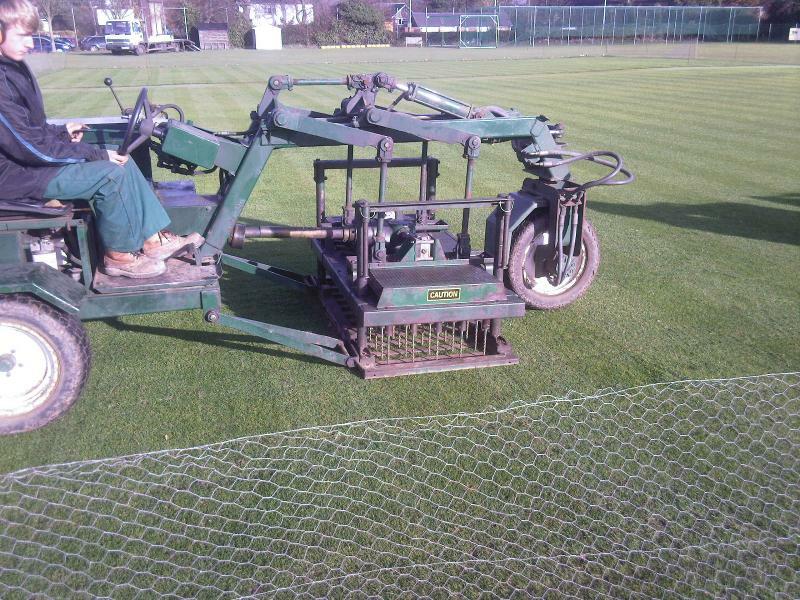 Deep drill is recommended every few years to relieve more serious problems and aeration through spiking is used for more regularly getting air and nutrients into the ground. The superb benefit of Deep Drill is that even layered cricket tables can be drilled through to enable fantastic root depth through the layers—as evidenced by the photo below. 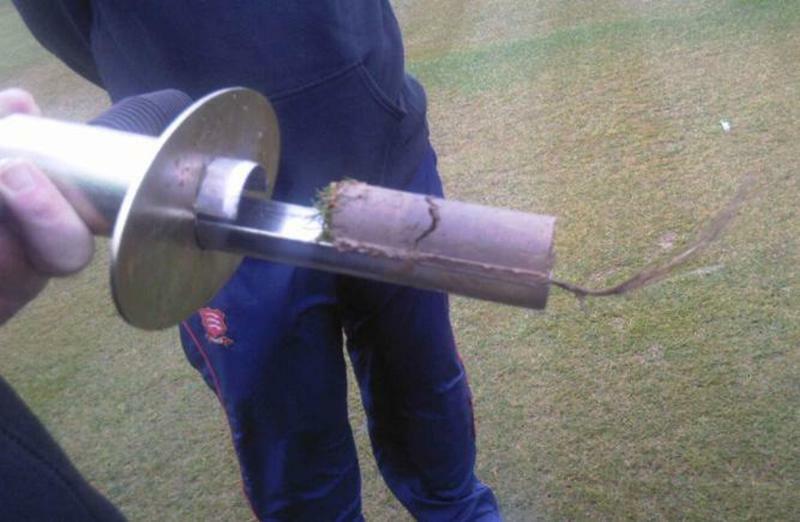 The photo shows a core taken 4 months after the square was deep drilled and clearly shows the superb root depth of the grass on the square.